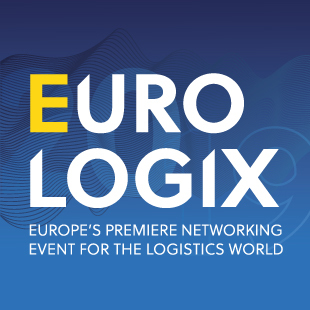 Leading players in the European logistics market united on Tuesday to launch EuroLogix, an exclusive industry networking event at MIPIM, as a research report from Real Capital Analytics showed that European warehouse investment volumes hit an all-time high of €28 billion in 2018 for single-asset and portfolio deals. Logistical warehouse investments have grown by an average of 14% a year since 2013, easily outstripping the expansion in the overall real estate investment market, on the back of the e-commerce and logistics wave. The appetite for this sector is reflected in the flow of funds into managers, the stock performance of listed owners and the movement in pricing, the Real Capital Analytics report noted. A price indicator produced by RCA shows that UK warehouse prices are more than 20% above their pre-crisis peak. The UK remains the largest European market for warehouse investment, as it has been for the last 10 years. However, the desire to put capital to work in the sector, driven by cyclical and structural trends in the occupier markets, has spurred investors to markedly spread their geographical focus. European-headquartered investment institutions have consistently acquired more logistics assets and oriented their portfolios towards the logistics sector in the last three years, a sign of the growing importance of the sector, RCA’s Leahy said. Data for 2018 show their acquisitions of warehouse properties came close to 10% of their total acquisitions – a new record. The ongoing move to online retailing, as well as occupiers greater need for supply chain optimization, has driven the emergence of extra-large, big-box, warehouse formats. These are typically in excess of 50,000 sqm let to the likes of Amazon and major retailers and grocers for regional, national and international distribution. These warehouses are also increasingly being supported by smaller logistical assets, usually less than 10,000 sqm and close to urban areas, used to fulfill ‘last-mile’ and ‘next-day’ type delivery requirements. Nick Preston, Fund Manager, Tritax EuroBox, said: “Tritax Big Box was the first REIT to provide pure play exposure to the UK Big Box market . Since our EuroBox IPO last year, we’ve been building a high-quality, well-located, portfolio of continental European logistics assets that are expected to deliver an attractive capital return and secure income to shareholders. This expansion has been underpinned by burgeoning rental growth, driven by strong occupational demand and the constrained supply of appropriate assets in key locations.